In my opinion, fostering is one of the most fun and rewarding aspects of volunteering with animals. 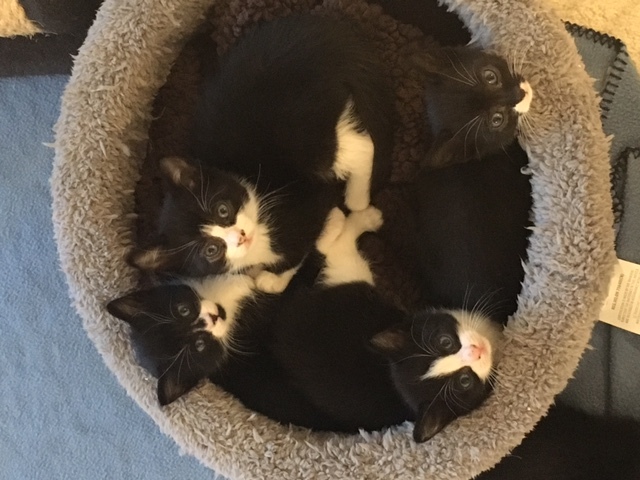 There is nothing like opening the door to my foster room and getting greeted by 6 fluffy kittens all vying for my attention. It brings me such joy to see them grow and learn and thrive before sending them off to their new homes. But fostering is much more than playing with kittens all day. Foster parents perform an important function for animal shelters. By offering up their homes, fosters make it possible for shelters to help even more animals. Fostering opens up more spaces for the animals that need to be cared for in the shelter and for animals currently up for adoption. In addition, many smaller rescue organizations are completely foster based. Foster parents care for the animals in their homes and meet with potential pet adopters for “meet and greet” sessions. Animals end up in foster care for many reasons. Young kittens without a mother need to be bottle fed around the clock. 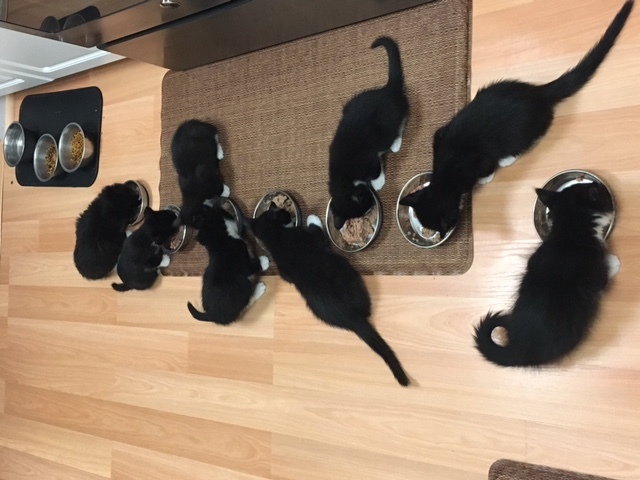 Older kittens that are able to eat solid food are kept in foster care until they are old enough to be spayed or neutered and adopted out. Foster parents help to socialize the kittens so that they make better pets. 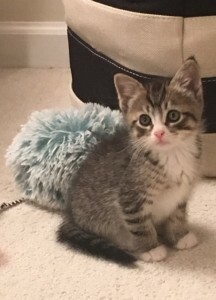 Keeping young kittens in a foster home also decreases their exposure to pathogens, and helps prevent kittens with low immunity from getting sick. Some animals end up in foster care because they are sick and need extra care and/or medication. They need to be quarantined in a dedicated room in the foster home where they can receive the care they need without getting other animals sick. Other animals need help with behavior or training or are too nervous to remain in a shelter situation. Becoming a foster parent requires some careful consideration. Before you start fostering you need to decide what type of animals you are willing to foster and which animals you are qualified to care for. Are you interested in bottle babies? Kittens? Animals that require medication or special needs animals? You will need to have a room in your home that is separate from your own animals and large enough for your fosters. Do you have enough time to care for a foster animal? For the most part, supplies such as food, cat litter, cages (if necessary), will be provided by the shelter. Medical costs and vet visits are also covered by the shelter. Many organizations also offer training classes to help make you more comfortable and competent with fostering different types of animals. Fostering animals is more than just providing space for an animal in your home. It can be hard work and requires a commitment of time. You are not only responsible for daily care, but you need to be available to shuttle cats to various vet appointments for vaccines, checkups, and/or sick visits. Also, you are the eyes and ears on that animal. Small kittens can go downhill very quickly. They must be weighed daily and you need to observe signs of sickness such as diarrhea, vomiting, or any changes in eating behavior. I consider it an honor to be a foster parent. There is nothing more rewarding than seeing a hissing, scared kitten turn into a lovable, adoptable pet and knowing that it is your hard work and dedication that has facilitated that transition. So, if you have any interest, contact your local shelter and ask about fostering. And don’t forget—it can be really fun to play with kittens all day.